These will surprise you! You and your friends will be amazed it is homemade wine. And you just can't beat the price. 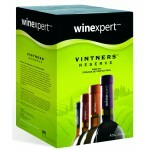 The Vintners Reserve Series offers top-quality juice concentrates blended with pure, fresh, varietal grape juices. Great care has been taken to perfectly balance the acid levels, sugar content, pH and tannin levels. These wine making kits make it easy to produce a medium to full-bodied wine bursting with color, superior flavor and complex aroma characteristics. Wine is ready to drink in just 4-5 weeks, although we suggest aging to allow it to reach its full potential. 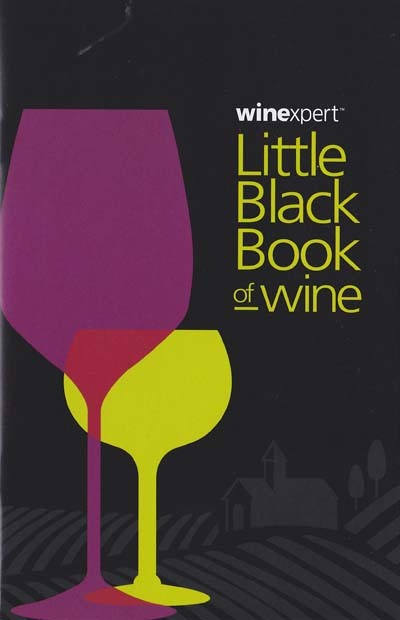 This handy little booklet lists all wine varieties available from winexpert. Conveniently organized by wine style, this book includes informative charts with useful information to help you choose the best wine for your taste. Each wine kit lists the wine style, body, oak type and intensity, sweetness level and alcohol content. Available Free! Order one today! (Beaujolais) - This refreshing, fruity ‘nouveau style' wine shows the bright cherry flavors and arom.. Deep ruby, with black currant and cedar on the nose. Sweetness: Dry | Body: Medium | Oak Intensit..
(Chablis) Blended from Chenin Blanc and Colombard grapes, this juice produces a crisp, semi-dry wine..
Powerfully structured, this wine shows a crisp, minerally character and a refreshing floral aroma we..
A smooth, balanced, aromatic red wine with plenty of cherry notes and a rounded mouth-feel. Perfect ..
Diablo Rojo - Dark purple in color with a nose of blackberry jam melded with creamy vanilla aromas a..
A distinctive grape varietal with an unmistakable lychee/floral bouquet and zesty citrus flavors tha.. This blend epitomizes the classic white wine style that Germany is renowned for, showcasing the Ries.. Deep in color, with black cherry and currant-berry aromas, the lush fruit of this wine meets soft ap..
Rich and flavorful, this purposeful blend marries intense aromas and complex flavors bursting of che..
Like its Selection counterpart Luna Bianca, Mezza Luna (‘Half Moon') is Vintners Reserve's ‘great wh..
Transported from Germany's Mosel wine region, this wine is characterized by vivid fruitiness and liv..
Medium-bodied with lightly fruity aroma, soft flavors and a velvety mouth-feel. Refreshing both as a.. Refreshing and light-bodied, this wine shows green apple, pear and honeydew, drinking well while sti..
Richly complex with fruity as well as spicy characteristics, the strawberry-blackberry nose leads to..
Germany’s most popular varietal, this wine is refreshing and well-balanced with a smooth full-body a..
(previously Chianti Style) Firm, dry red wine style made famous by Tuscany. Tannic and robust, this .. The flavor is full and dry, with a fruity, herbaceous character, which finishes crisp and clean. A v.. Boasts a concentrated blend of plum and blackberry fruit, with spice and chocolate in a firm structu..
Ruby red, this classical Italian Valpolicella style wine features rich, spicy berry aromas in a very.. Robust, rounded and smooth, the bouquet of berries and flavors of ripe plum are beautifully integrat.. The intense fruitiness of this beguiling wine suggests rich sweetness, but it shows a surprisingly d.. This uniquely Californian treat is a pleasure to savor fully chilled, literally bursting with sweet ..